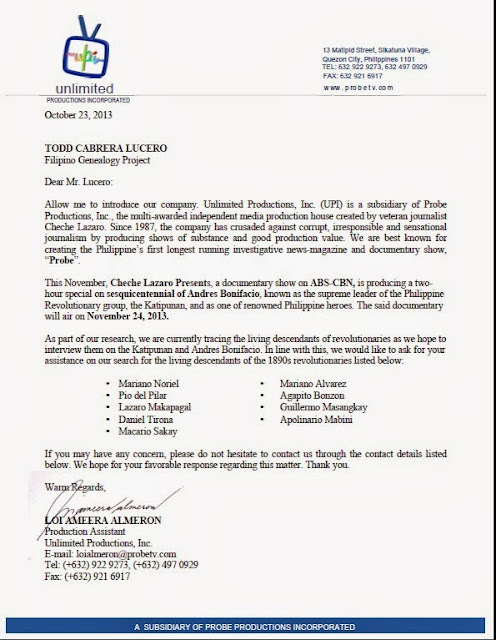 Towards the end of October I received an official communication from Unlimited Productions, Inc., a company founded by veteran television personality Ms. Cheche Lazaro, requesting for my assistance in tracing and identifying key descendants of several Filipino heroes who were active in the revolution against Spain and who worked closely with Katipunan founder Andres Bonifacio to be used in a two-hour special on the sesquicentennial of Andres Bonifacio. In my experience, a top-to-bottom tracing of the family tree is slightly more difficult than the usual and common bottom-to-top approach. Simply put, it is easier to connect one generation to the next if we are following the documents from the most recent going back to the past. The records are already there; all you need to do is go back a generation at a time and the connections will materialize before your very eyes. However, tracing the whereabouts and the development of a family from the mists of time down to modern times is very challenging. If you were looking at a record of your great-grandfather's baptism (for Catholic church records, at least), you would see the names of his parents and grandparents, along with a slew of other relevant information like occupation, residence, and place of origin. 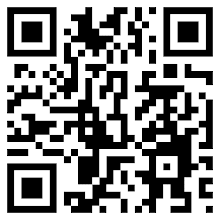 This last information is very vital to your search. If your great-grandfather's record tells you that one of his grandfathers came from another town, you know that you would need other records from other towns and not be stuck looking for this particular ancestor among that particular town's records. But finding out what happened to the children, grandchildren, and other progeny of a person will prove to be a challenge. Records will not tell you, for instance, if a particular person reached adulthood, got married, had children, or died young until you check specific records. And unless your town or the place where you are looking at has some sort of indexing system or a computerized database of names, you will truly have to do double or even triple the effort. Thankfully, things are slightly easier today. With the help of the Internet, looking for descendants of some people, especially famous ones, becomes less daunting. For the task asked of me, I was to look for living descendants of the following heroes (or villains, depending on how one looks at our history): Mariano Noriel, Pio del Pilar, Lazaro Makapagal, Daniel Tirona, Macario Sakay, Mariano Alvarez, Agapito Bonzon, Guillermo Masangkay, and Apolinario Mabini. Because I was swamped with work at that time I could only give the project a day or two of my attention. Basically, I was confined to the internet in searching for these names. From these names, Apolinario Mabini is obviously the most popular, followed closely by Daniel Tirona, Makario Sakay, Mariano Alvarez, Pio del Pilar, and Guillermo Masangkay. For most Filipinos today, the names Lazaro Makapagal, Mariano Noriel, and Agapito Bonzon would not ring a bell anymore. I even had to do a quick Wikipedia search for Mariano Noriel and Agapito Bonzon to refresh my memory who these men were. One might think that the keywords "descendants (name of person)" or "(name of person) descendants" would yield the best results; in fact, these keywords are almost useless as they are prone to give us hundreds of thousands of results if you do a Google search. While not all the surnames mentioned above are very common they are all also not as unique as, say, Zobel de Ayala. It took me about 3 hours and hundreds of search parameters to come up with the desired results. In order to come up with the correct information I had to pair very specific search terms. The key to better search results is very specific parameters; instead of saying "children (name of person)" to get the names of a person's children, first search for "son (name of person)" or "daughter (name of person)", or "granddaughter/son (name of person)". 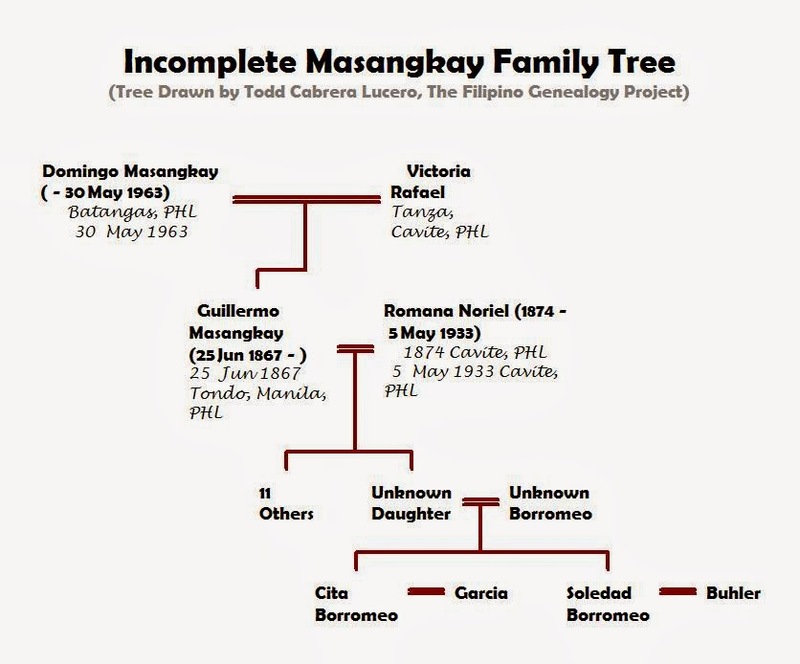 For example, I used "guillermo masangkay grandfather" to arrive at a Yahoo Groups thread where one member was Cita Masangkay-Borromeo Garcia, who happened to be Masangkay's granddaughter. On the other hand, using the search words "macario sakay grandson" led me to a Philippine Daily Inquirer article that mentioned a grandson of the general. Sometimes, names like "Mariano Alvarez" would give you pages not just from the Philippines but also from Spain and South America as these two names are fairly common Hispanic names. In order to limit the search I had to use the name with his birth place or with the words "Filipino General" or "Filipino Revolutionary". GUILLERMO MASANGKAY whose best contact persons are his granddaughters, Soledad Masangkay-Borromeo Buhler, who wrote a book called “The Cry of Balintawak” and her sister, Cita Masangkay-Borromeo Garcia, who I mentioned above. I was unsuccessful in finding his other relatives though I found anObituary in the United States which mentioned that the deceased's brother was Guillermo Masangkay. 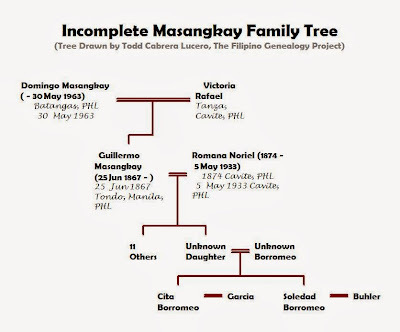 I was not sure if this was the same Guillermo, but the names of the deceased's family members were very similar to Masangkay's family's, and as a rule of thumb in genealogy, repeating first names in a family can be an indicator, though not all the time, of filial ties. For MARIANO ALVAREZ, I discovered his politically entrenched Rono descendants of Samar. They are Mariano’s descendants through his granddaughter Pacita. And, since Gregoria de Jesus was a niece of Mariano her Nakpil descendants were also a good source of information. I did not have a hard time looking for possible collateral (or indirect) descendants of APOLINARIO MABINI. Again, keywords I used in searching were "apolinario mabini grandniece" or "mabini clan batangas" which ultimately led me to several newspaper articles, the best resource person of which is his grandniece Pilahia (Pelagia) Mabini, who is one of the National Historical Commission’s staff for the Mabini Shrine inBatangas. Names of other descendants were mentioned in another article. As mentioned above already, for MACARIO SAKAY the only lead I got was through an article celebrating his death anniversary where there was a brief mention of a grandson, Daniel Sakay. I also saw an address for a Daniel Sakay who was or is a barangay captain in Quezon City; whether this is the same Daniel Sakay I was not sure. In this case it was also a good step to use the search words "(name of person) death anniversary Commemoration" or "(name of person) death anniversary celebration" as this was how I narrowed down the search for his grandson. After Mabini, DANIEL TIRONA also had several available websites concerning his family and one important article I found was about the Tirona Clan reunion where a contact person was mentioned. I also found a Descendancy Chart in Familytreemaker.genealogy.com where anyone from the 6th generation up would still have been alive today. I also found a possible great-granddaughter of Lazaro Makapagal, but this was in a forum thread and no further information could be discovered. This was understandable as Makapagal was one of the soldiers who shot Andres Bonifacio and his brother, so it stands to reason that descendants of this man would not be comfortable announcing themselves in cyberspace. This was another fun exercise for me in doing a genealogical task, albeit I only spent a few hours as I was busy with my regular job at that time. Despite my very small contribution to the research I was surprised to hear from a staff of Ms. Lazaro when she told me I would receive a CD of the documentary. And when I watched it I saw that I was given due acknowledgement at the end and this was truly more than any amount of money they could have paid me. If you're a good person, the goodness will continue through your descendants. See the link below for more info.